Give kids a "whole," one coin, a few coins, or a bill. Then, have them choose coins that make that amount of money. 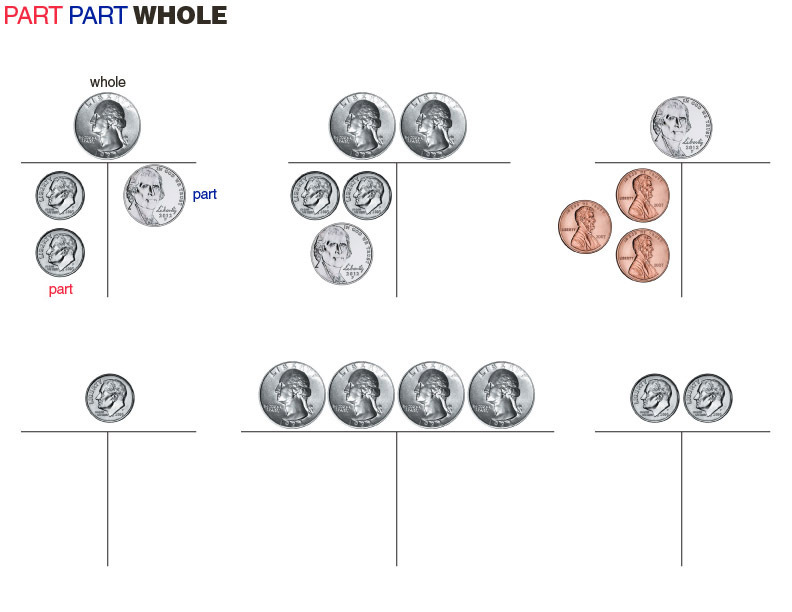 They organize their coins into two parts to make their whole.